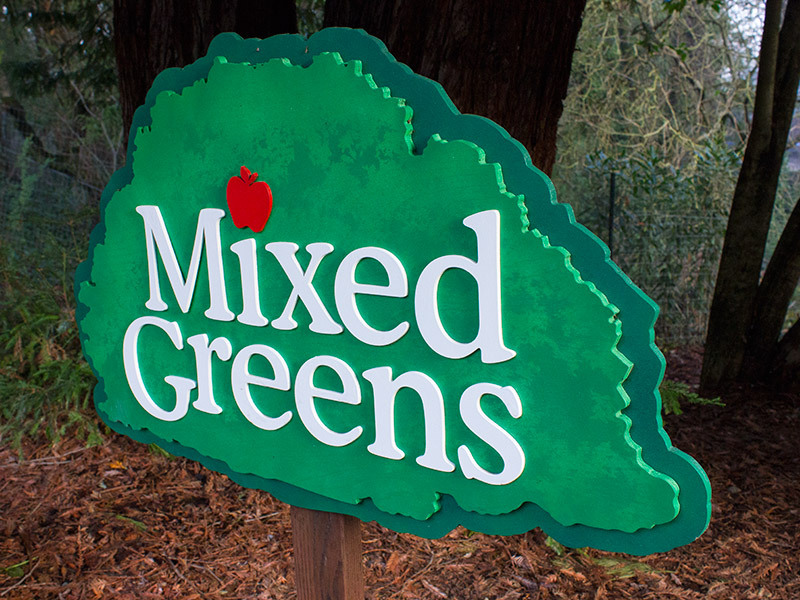 Mixed Greens Sign - Pure Black, Inc.
Sign for you? Oh yes. 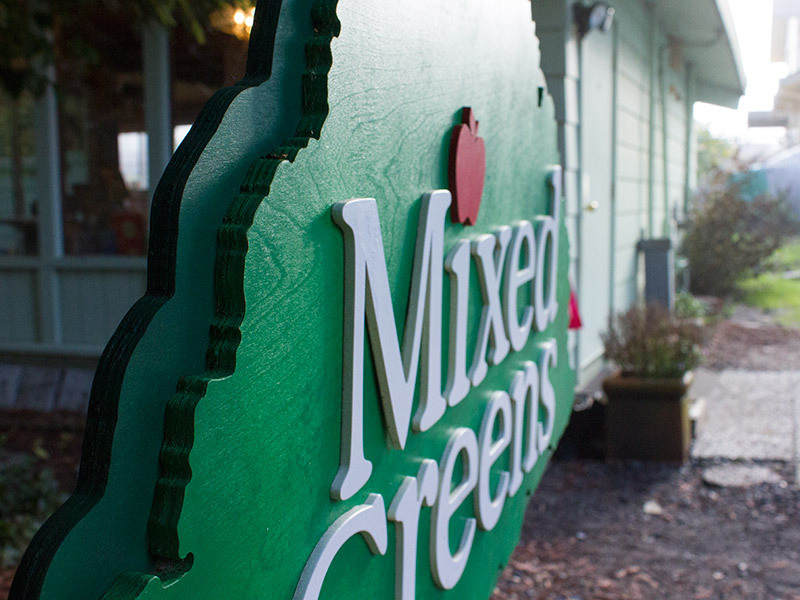 I wouldn’t want the little kiddos at Mixed Greens Preschool to be lost. 3 layers, 2 backers CNC cut on 3/4″, the middle layer with a stencil painted texture, and the face with acrylic letters and apple. Skoolz cool you fool.